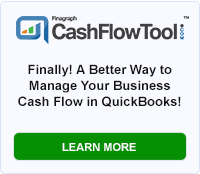 But Is The Manufacturing Edition Of QuickBooks Right For You? Can you count on it to take care of all the needs of a manufacturing or distribution businesses like yours? 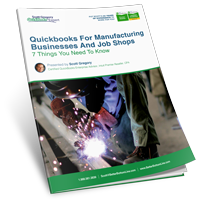 Is it even reasonable to think QuickBooks for Manufacturing can handle everything? To make good decisions, it is essential to “look under the hood” and understand some of the key differences in the Pro, Premier and Enterprise versions of QuickBooks desktop software [PDF Download]. QuickBooks Pro – this is the entry level version of QuickBooks. It will handle basic financial tasks like invoicing, bill payment, and financial reports. 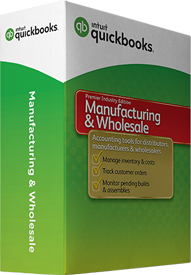 QuickBooks Enterprise: Manufacturing and Wholesale Edition (aka QuickBooks Enterprise Manufacturing Edition) – this version has all of the features and tools of the Premier: Manufacturing edition. Plus, it has the ability to store up to 100,000 inventory parts, 100,000 customers, has a much more robust user security setup and can be used in multiple locations. Many businesses choose one of the three versions of QuickBooks listed above and shoehorn their needs into the functionality that is available. They usually do a lot of outside supporting work in Excel too! At the end of the day, this approach works for them – and that’s good. Others choose to go a “hybrid” route – they’ll choose one of the QuickBooks editions listed above and pair that with an add-on for QuickBooks such as ACCTivate, Logiwa, Zenventory, or HandiFox. They use the add-on for the front end of the business (i.e. sales orders, purchasing, inventory management) and then use QuickBooks for the back end of the business (i.e. invoicing, paying bills and creating financial reports). Get Expert Insight to Sort it all out… Contact Scott Today! Set up a consultation with Scott to help you make the RIGHT decisions when it comes to QuickBooks in your manufacturing or distribution business. He has over 20,000 hours of hands-on field experience with QuickBooks, and has over ten years of experience as the CFO for a $15 million manufacturing firm, including the management of $4 million in inventory. All of that knowledge comes in handy when it comes to ensuring you’re on the right path. Whether you’ve been using QuickBooks for a while and need a fresh set of eyes on things or you’re looking to move into the manufacturing editions of QuickBooks, connect with Scott. Your return on investment will be unparalleled.